Home / Uncategorized / Stretch Goal 1 – £5000 – UNLOCKED! Our first stretch goal has been reached! 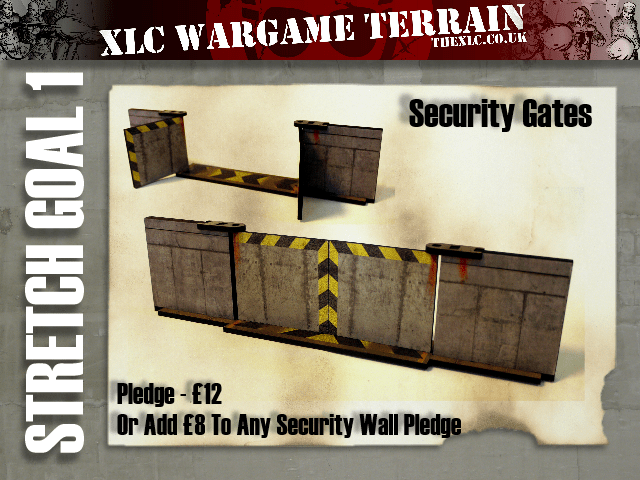 You can now add the Security gates to any pledge that includes the security walls for £8 (just increase your pledge and we will collect the details at the end). If you want just the gates you can get them as a pledge on their own for £12. BONUS – The gates will be included FOR FREE with pledges for the “MILITARY PACK” and “COMPLETE SET”! This will happen automatically, no need to do anything!